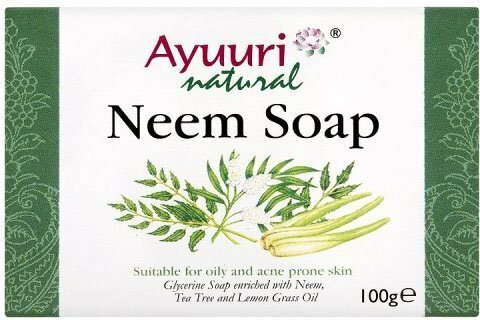 Glycerine soap enriched with oils of Neem, Tea Tree Oil and Lemon Grass Oil. Suitable for dry, oily and acne prone skin. The Ayuuri Natural skin care range is based on the traditional fruit, plant and flower extracts of Ayurveda, that have been used for centuries in India to make skin naturally beautiful. Enriched with Sandalwood, Jojoba and soothing Honey to give a blend with natural moisturising properties. A herbal formulation that gently removes impurities and cleanses the skin. Use regularly for clear and radiant skin.